NE on WI-29/Marquette Dr/Ellis St. Right onto Milwaukee St/WI-42, left onto Tatonka Dr. Right onto Sundancer Ct, Sundancer Ct becomes Lakota Ln. Hello, I’m interested in 200 LAKOTA LANE and would like to take a look around. The details on 200 LAKOTA LANE: This house located in Kewaunee, WI 54216 is currently for sale for $244,900. 200 LAKOTA LANE is a 1,753 square foot house with 3 beds and 2 baths that has been on Estately for 297 days. 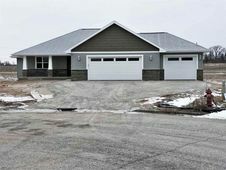 This house is in the attendance area of Lakeshore Alternative School, Kewaunee Grade School, Kewaunee Middle School, and Kewaunee High School.